This unique Bali accommodation boasts stunning ocean views and is just moments from Legian beach. FuramaXclusive Ocean Beach, Seminyak Bali offers a wide range of hotel & suite style accommodation catering for the needs of couples, families and small groups alike. Enjoy the use of a wide range of facilities including two swimming pools, day spa, restaurant & bar plus much more. For your next Bali holiday why not stay at FuramaXclusive Ocean Beach, Seminyak Bali. 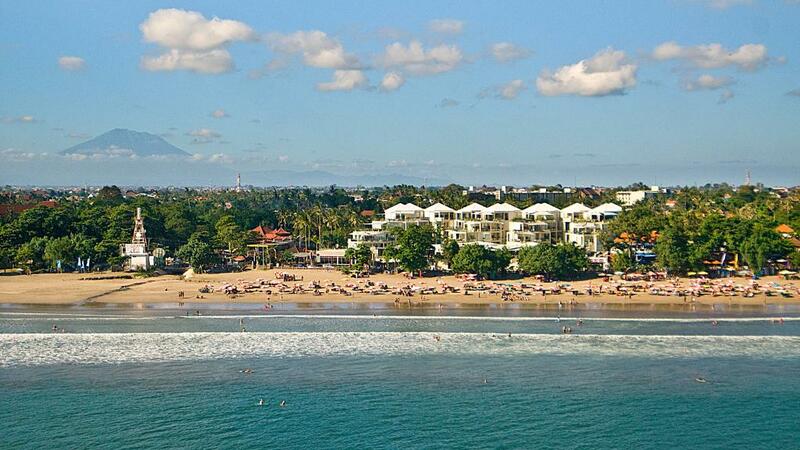 FuramaXclusive Ocean Beach, Seminyak Bali offers a fantastic location in Legian. Just steps away from the beachfront this Bali accommodation is ideal for families and couples looking to enjoy a relaxing Bali holiday. Choose from a variety of modern & spacious hotel, suite & penthouse style accommodation many of which offer kitchenette facilities and stunning ocean views. Laze by the pool, indulge at The Deck Seafood Grill or explore the surrounding areas with ease with shops, restaurants, nightlife and entertainment nearby.